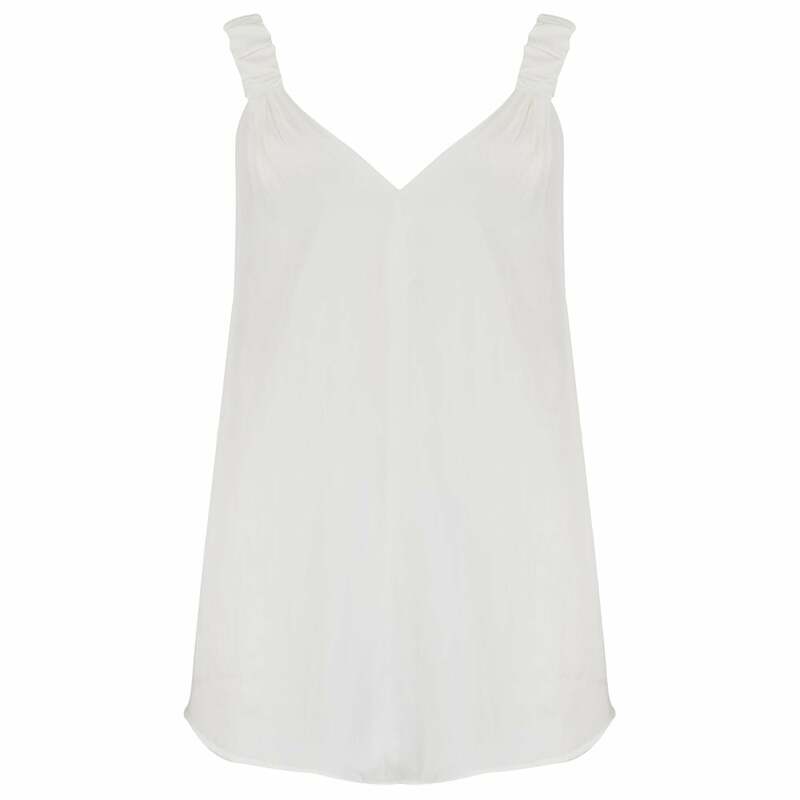 Smythe Wide Strap Cami in White: This super chic loose fitting camisole is perfect as underpinning under jackets or worn on its own. Styled in white satin polyester and featuring wide elasticated straps making it bra friendly. A must have wardrobe basic for summer dressing.